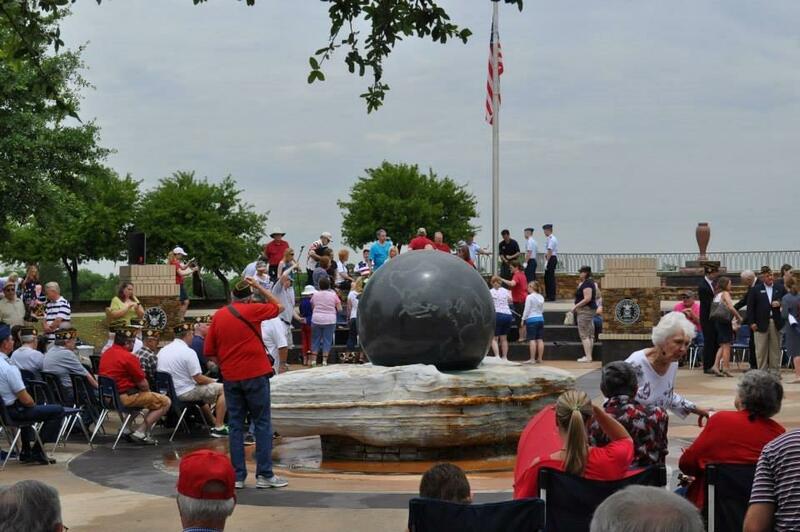 Hundreds of people attended Frisco’s Memorial Day service at the Veteran’s Memorial at Frisco Commons, 8000 McKinney Road. 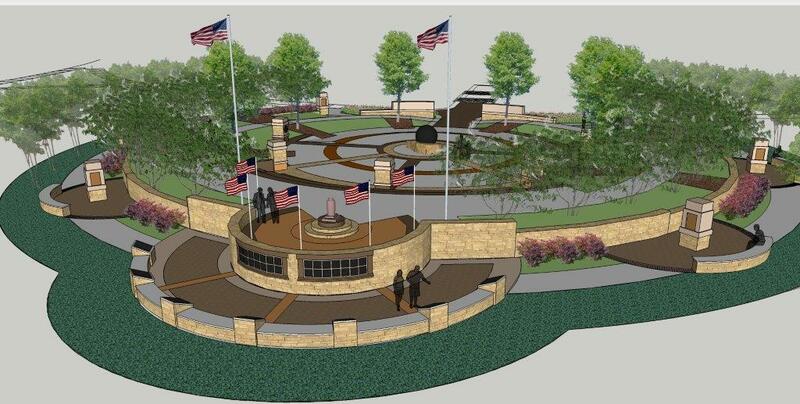 The annual ceremony was hosted by the Frisco VFW and Frisco Garden Club. 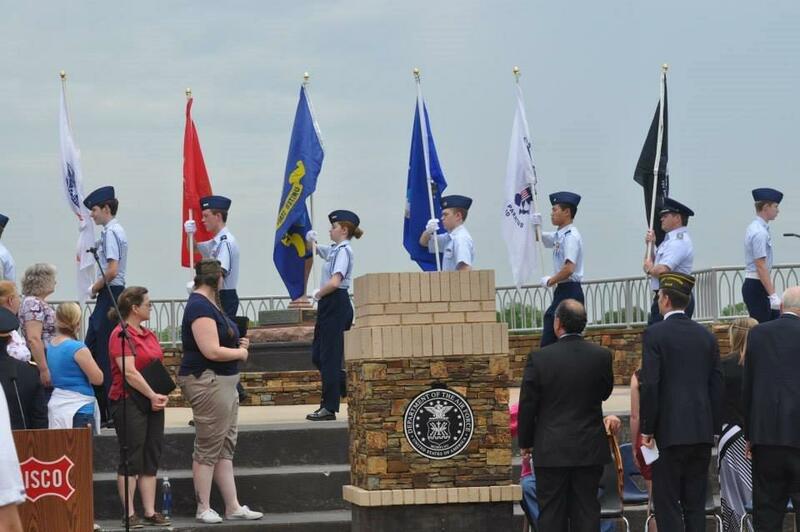 Frisco council member and MAJ Tim Nelson served as Master of Ceremonies. 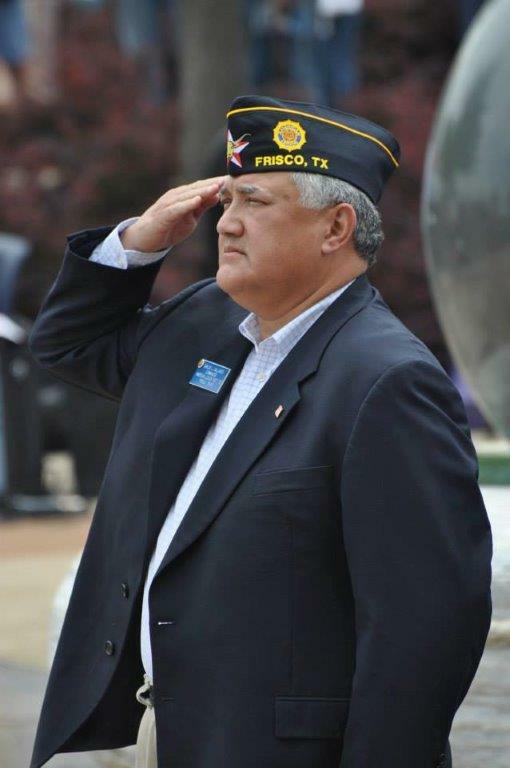 Mayor Maher Maso and Frisco VFW Post Commander Neal Litton shared remarks. 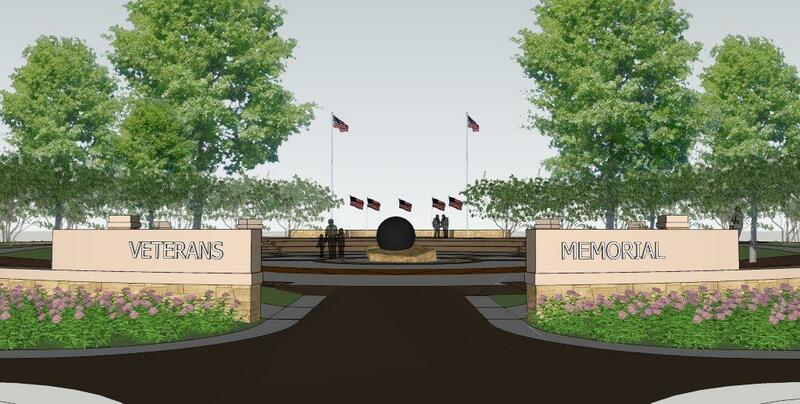 Past Frisco VFW Post Commander Lee Myrben encouraged folks to honor loved ones by participating in the ‘Walk of Honor’ brick program underway. The keynote speaker was U.S. 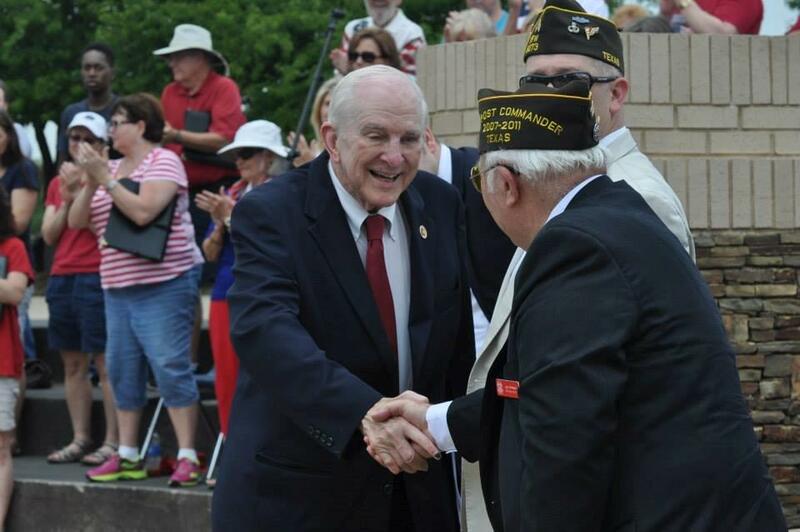 Congressman Sam Johnson, COL, Retired, USAF. 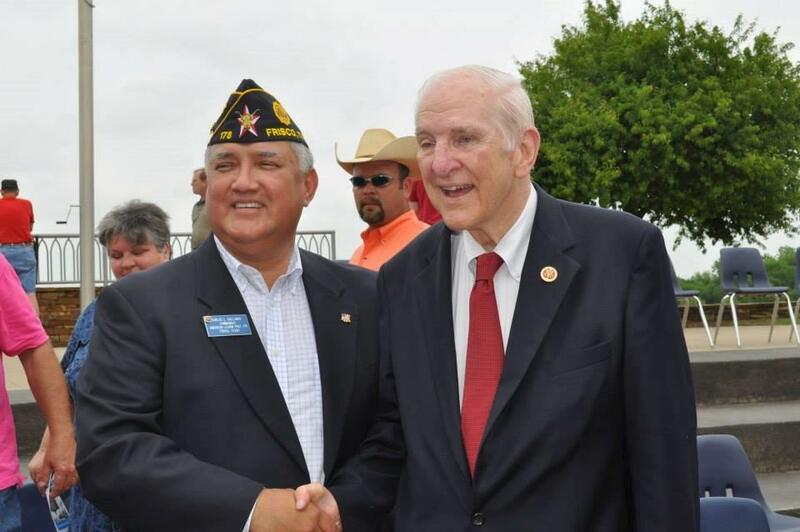 Sam Johnson, a decorated war hero and native Texan, ranks among the few members of Congress to fight in combat. 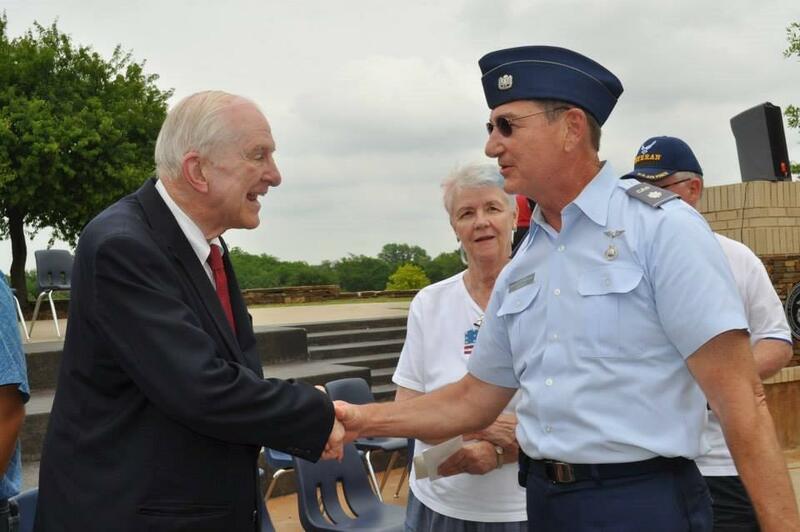 During his 29-year career in the U.S. Air Force, Representative Johnson flew combat missions in both the Korean and Vietnam Wars. He endured nearly seven years as a Prisoner of War in Hanoi, including 42 months in solitary confinement. 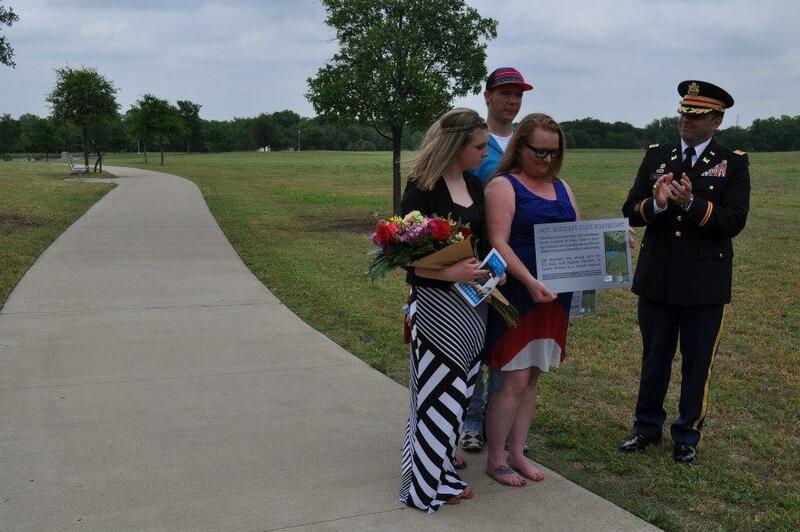 The service concluded with a special presentation and dedication of a park trail to the memory of SGT Michael ‘Luke’ Boatright. SGT. 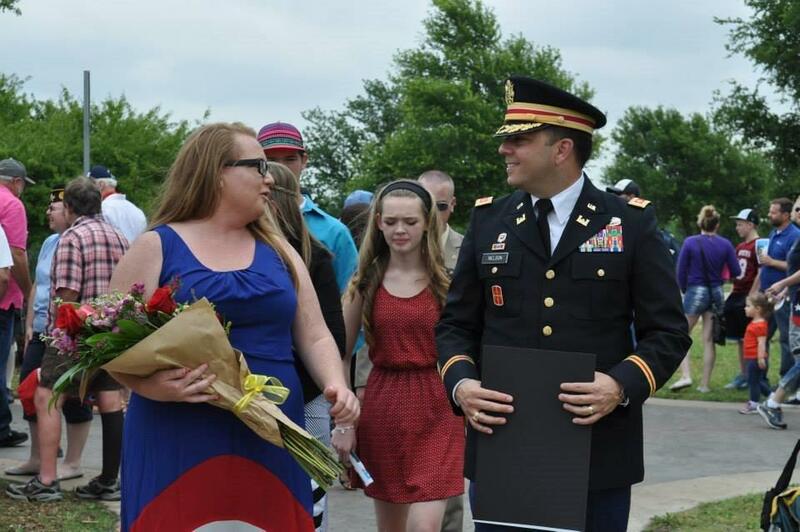 Boatright grew up in Frisco, attended Frisco High and joined the U.S. Army in 1997. 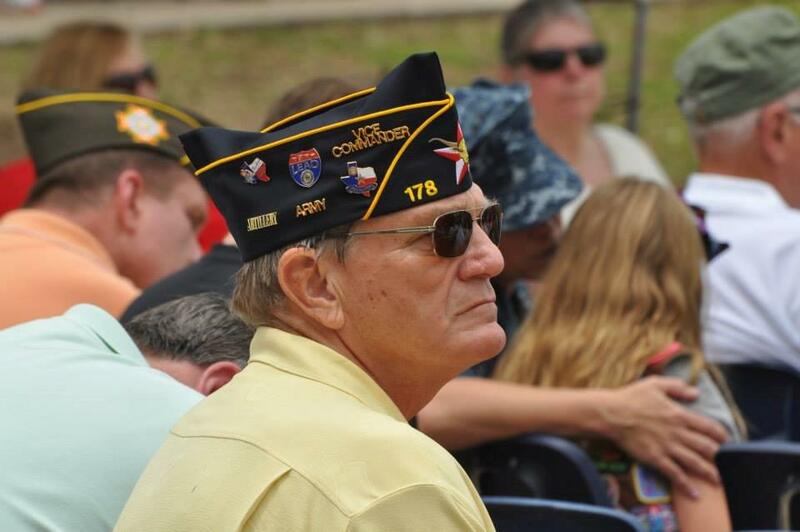 He served as a combat engineer in the 20th Engineer Battalion, 1st Calvary Division, Fort Hood, TX. Follwoing 9-11, SGT. 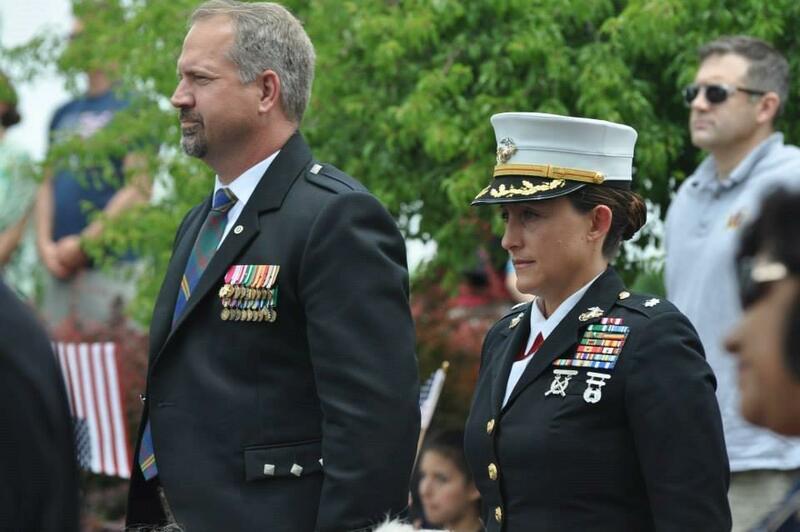 Boatright was deployed to Iraq in March. He was killed in action in Baghdad, December 4, 2004.